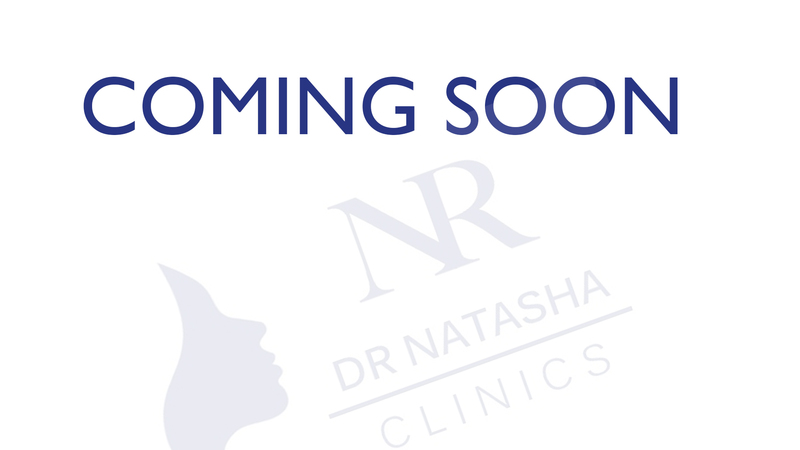 Dr Natasha Clinics specialises in Anti-Ageing Treatments, Dermal Fillers and Advanced Aesthetics. Revitalize your skin, reduce fine lines and wrinkles with Dr Natasha. Dermal fillers are injections used to fill out wrinkles and creases in the skin. Dermal fillers contain Hyaluronic acid (HA), the same substance that naturally occurs in skin. As ageing starts, the natural Hyaluronic acid content decreases causing skin to sag and lines and wrinkles to appear. This safe and effective treatment may be used to treat the hands and the face. Dermal fillers are often used alongside anti-wrinkle treatments to smooth, fill and plump lines and wrinkles to achieve a smoother and more youthful appearance. Dermal Skin fillers are used to re-volumize the skin. Dr. Natasha specializes in a wide variety of skin fillers and the most appropriate one will be selected for you during your consultation. Dermal Fillers work by blocking signals from nerves to muscles. The injected muscle can no longer contract, causing wrinkles to soften and relax. Dermal filler fills the space of volume loss which improves folds and wrinkles, as well as attracting water to replenish moisture to your skin. It also has a biological effect on your own hyaluronic acid by encouraging it to increase collagen and elastin production which improves skin integrity and quality. Overall this restores a natural and youthful appearance. The treatment normally takes between 20-30 minutes to complete (Depending on the area). A small amount of Hyaluronic acid gel (None-permanent) is carefully injected via a fine hypodermic needle into the desired skin area. After completing a series of injections, Dr. Natasha will massage the skin area to ensure the filler is evenly distributed around the injected area. The procedure using dermal fillers are temporary. The changes from just one procedure are visibly instant and natural looking. There is minimal downtime post procedure, and only very mild bruising and redness. Dermal fillers are considerably cheaper compared to conventional surgery, and can have a dramatic improvement on the clients appearance. The risk is minimal and the recovery time is short. Some clients experience some slight swelling or bruising post treatment, this is normal. The extent on how this affects the client usually depends on how easily they bruise, usually it’s very minor. You may also notice that the injected area will be tender for up to 5 days following the treatment. Dr. Natasha will give aftercare advice, and answer any questions or queries the client may have. Dr. Natasha will arrange a future appointment date with the client, for a post procedure checkup. Dr. Natasha will also advise that the post procedure recommendations are followed. The procedure is very safe. Dr. Natasha is very experienced and specializes in Dermal fillers & advanced aesthetics. Common side-effects include redness, mild bruising and mild swelling, this is usually minimal. These usually resolve within a few hours, but bruising may last up to a few days. The recovery time is usually between 48-72 hours post-procedure. It is highly recommended that the client follows the post-procedure recommendations to avoid complications or infection. It is recommended that you avoid Smoking after the procedure. Smoking can cause the skin to tighten and constrict, and may shorten the life of the procedure and the clients overall look. Normally the results last between 4-6 months. However, this is dependent on the individual, and if the post procedure recommendations are followed. A follow up treatment is recommended by Dr. Natasha to maintain the look required by the client. Dr. Natasha will discuss your next course of treatment, if required at your aftercare appointment.